The following laws which refer to drivers apply to cyclists. The following laws are a subset of the entire Ohio Revised Code traffic law available at the following website: http://codes.ohio.gov/orc/4511. No person shall operate a bicycle within the boundary lines of a freeway except where there exists a facility that is separate from the roadway and shoulders designed and appropriately marked for bicycle use. Local authorities may regulate the operation of bicycles as long as such regulation is consistent with the uniform rules of the road prescribed by Ohio law and that no such regulation shall prohibit the use of bicycles on any public street or highway except as provided in ORC 4511.051. Signs giving notice of the local traffic regulations shall be posted upon the highway affected. Ohio law allows bicycles to be driven upon sidewalks. Local authorities may prohibit but not require bicycle riding on sidewalks. Drivers are obligated to obey all traffic control devices, including flag persons, signs, pavement markings, and signal lights. Drivers should treat malfunctioning traffic signals as a four way stop, exercising care while proceeding through the intersection. A malfunctioning signal exhibits no lights or fails to clearly indicate the assignment of right of way. Position bicycle close to and inside detector wire single loop or near center wire of double loop to trigger detector. A signal detector which fails to detect a bicycle may be treated as malfunctioning. If signal fails to trigger for 3 minutes, proceed cautiously through the intersection when cross traffic is clear. Children should use pedestrian-activated signal and cross in the crosswalk as a pedestrian if signal detector fails. Operation of a vehicle while under the influence of drugs or alcohol is prohibited. This is the only violation which allows courts to assess points against a cyclist’s motor vehicle driver’s license. A cyclist should be fully in control of his/her faculties while cycling. No driver may operate a vehicle at such a slow speed to impede the normal flow of traffic except when necessary for safe operation or to comply with the law. Courts must take into consideration the capabilities of the vehicle and its operator in deciding if an infraction has been committed. (5)When driving on a roadway for one-way traffic. All of these exceptions to riding on the right side of the roadway also apply to cyclists. Drivers must audibly signal before passing any other vehicle and then he or she may proceed to pass on the left at a safe distance and return to the right side when safely clear of the overtaken vehicle. The vehicle being passed must not increase speed until completely passed. This law would apply to cyclists passing other cyclists (or pedestrians) on roads or bike trails. Drivers may overtake and pass on the right of another vehicle when the vehicle being passed is making a left turn; when a clear roadway offers enough space for the overtaking vehicle to pass safely without driving off the roadway. It is unsafe to pass traffic in your lane stopped for a red light or stop sign on the right side. Cars may be turning right, passengers may be exiting the vehicles and pedestrians may be walking in front of the vehicles. Cyclists should take their place in the line of stopped traffic. The only exception would be if all the vehicles being passed are turning left and there is sufficient space to pass on the right. Allows for the crossing of a solid yellow line in instances when drivers are approaching a slower vehicle (bicycles, horse-drawn buggies, farm vehicles, etc) proceeding at less than half of the posted speed, as long as the faster vehicle is capable of passing without exceeding the speed limit and as long as there is sufficient clear space in which to do so. Drivers must make right turns as close to the right-hand edge of the roadway as practicable. Drivers should make left turns by merging into the left turn lane or left side of a single lane. After passing through the intersection, drivers shall commence travel in the lane closest to the right of the centerline, and then merge to the right-hand edge of the roadway. When traveling on a one-way street, a left turn must be made in the extreme left-hand lane available. This law does not address the case of multiple left turn-only lanes. A good rule of thumb for cyclists is to choose the right-most lane which serves your destination. Another method for turning left in heavy traffic is to stay right and cross to the opposite corner, stop the bike, turn to the left and cross again. Cyclists must indicate his or her intention to turn, or move left or right, by signaling at least once at least one hundred feet prior to a turn. A signal is also required when bringing a vehicle to a stop or suddenly decreasing speed. A cyclist is NOT required to signal if riding in a designated turn lane or if both hands are needed for the safe operation of the bicycle. Right turn – Right hand and arm extended horizontally. Alternatively, left hand and arm extended upward. When two vehicles coming from different directions approach an intersection at approximately the same time, the driver on the left shall yield the right of way to the vehicle on the right. Cyclists should be very cautious of motorists who wave them through intersections. There may be other motorists who do not see the cyclist. The driver of a vehicle attempting to turn left shall yield the right of way to a vehicle approaching from the opposite direction. Drivers when entering a roadway must come to a complete stop and yield to any pedestrians on the sidewalk. Drivers shall yield the right of way to a pedestrian crossing a roadway within a crosswalk. Every intersection is a legal crosswalk, whether marked or not. Pedestrians have the right of way at marked and unmarked crosswalks. Drivers shall yield the right of way to blind persons guided by a guide dog or carrying a white cane. This law applies to ANY location, within or outside of a sidewalk or crosswalk. Drivers shall yield the right of way to any safety vehicles (by pulling off to the right side of the street) and to funeral processions. Drivers must stop at least 10 feet in either direction from stopped school buses displaying red and amber flashing lights and an extended stop sign. Traffic laws applicable to bicycles apply whenever a bicycle is operated on a highway or bike path. A bicycle operator who violates any section of the traffic law may be issued a ticket by a law enforcement officer. No points can be assessed against the bicycle operator’s driver’s license except in instances of operating under the influence. When it is determined that a violation by a motor vehicle operator endangered the lives of bicycle riders, the vehicle operator (cyclist or motorist) may be required to successfully complete a bicycling skills course approved by the court. No person shall open the door of a vehicle on the side available to moving traffic unless it is reasonably safe to do so, without interfering with the movement of other traffic. This law applies to drivers and passengers of cars; bicyclists should ride defensively by staying at least 4’ left of parked cars. Drivers of MOTOR VEHICLES may not wear earphones in both ears. The Columbus laws for bicycles are in the same chapter as the laws for motorcycles. This document summarizes the bicycle laws, removing the sections regarding motorcycle laws and the penalties for breaking the laws. Please consult the full text of the law available at the following website: http://library.municode.com/index.aspx?clientId=16219&stateId=35&stateName=Ohio. Many of these laws are the same as Ohio law and the Ohio Revised Code (ORC) is referenced. The provisions of this Traffic Code that are applicable to bicycles apply whenever a bicycle is operated upon any street or upon any shared-use path. Bicycles are defined as vehicles and therefore cyclists have the same rights and responsibilities as drivers of cars. Children’s non-motorized vehicle means any child’s wheeled device including a bicycle that is under 30” of handlebar height and operating at less than 5 mph, that is operator-propelled by human power (includes bicycles, roller skates, inline-skates, rollerblades, skateboards and scooters). A person must ride on the regular seat of the bicycle and may not carry extra passengers unless the bicycle is equipped with additional seats. A child may be carried on a child carrier or bike trailer that is firmly attached to the bicycle. A person should not carry anything that prevents them from keeping at least one hand on the handlebars. Children in Columbus aged 17 and younger must wear a helmet when riding bicycles or other children’s non-motorized vehicles (skates, rollerblades, skateboards, scooters). Parents and guardians are responsible for violation of this law. There is no bicycle helmet law for Ohio. Experienced cyclists know that bike helmets and glasses should be worn by all adults and children on every ride to avoid head and eye injury. No person shall attach their bicycle or themselves to any vehicle upon the roadway. No operator shall permit any person on a bicycle to attach themselves to their vehicle on the roadway. Every person operating a bicycle upon a roadway shall ride as near to the right side of the roadway as practicable obeying all traffic rules applicable to vehicles and exercising due care when passing a stopped vehicle or one proceeding in the same direction. This section does not require a person operating a bicycle to ride at the edge of the roadway or within a bike lane when it is unreasonable or unsafe to do so. Conditions that may require riding away from the edge of the roadway include when necessary to avoid fixed or moving objects, parked or moving vehicles, surface hazards, or if it otherwise is unsafe or impracticable to do so, including if the lane is too narrow for the bicycle and an overtaking vehicle to travel safely side by side within the lane. Persons riding bicycles upon a roadway shall ride not more than two abreast in a single lane, except on paths or parts of roadways set aside for the exclusive use of bicycles. This law describes situations where cyclists may ride away from the right edge of the roadway. Other situations (described in ORC 4511.25) are when overtaking another vehicle, when preparing for a left turn, or when avoiding right turn-only lanes. Note that Columbus code states that cyclists are not required to ride in the bike lane. Cyclists should leave the bike lane when turning left and to avoid right turning traffic at intersections. Experienced cyclists will ride single file on roadways when the lane is wide enough to allow other vehicles to safely pass. They should also ride single file on multi-use paths to allow other cyclists to safely pass. (3) A lamp emitting either flashing or steady red light visible from a distance of five hundred feet to the rear shall be used in addition to the red reflector; If the red lamp performs as a reflector in that it is visible as specified in subsection (a)(2) of this section, the red lamp may serve as the reflector and a separate reflector is not required. (c) A bicycle may be equipped with a device capable of giving an audible signal, except that a bicycle shall not be equipped with any siren or whistle..
(d) Every bicycle shall be equipped with an adequate brake. In other words, a bell is not require .A cyclist should signal with a bell or announce “on your left” when passing a pedestrian or vehicle. Cyclist shall yield right of way to pedestrians and give an audible signal before passing pedestrians in sidewalk, crosswalk or multi-use path. No person shall park a bicycle upon a sidewalk in such a manner so as to unduly interfere with pedestrian traffic or upon a roadway so as to unduly interfere with vehicular traffic. No person shall operate a bicycle upon a sidewalk, except for children’s non-motorized vehicles or at locations that the Columbus city council designates as shared-use paths. No person shall operate a motor vehicle or motorcycle upon a sidewalk or shared-use path. No person shall operate a motor vehicle or motorcycle in a bike lane except for: performing maintenance, loading or unloading, accessing on-street parking or turning right into streets or driveways at appropriate speed and distance allowance. Whenever any bicycle is operated by any person, including a minor under the age of 21 years, in violation of any of the provisions of this chapter, the bicycle may be seized by any member of the Police Department and impounded for a period of time not to exceed 30 days and shall be released upon order of the Chief of Police. If traffic at a bike crossing is not controlled by a stop or yield sign or a traffic signal, the cyclist on the bikeway shall yield right of way to all vehicles on the road or street. There are several laws regarding registration of bicycles, bicycle licenses and transfers of ownership but they are not currently enforced. Recent attempts to locate bicycle licenses at the Columbus fire and police departments were unsuccessful. Can you believe tomorrow is September 1? Where did our summer go? We are just 19 days from our first annual Aptalis CF Cycle for Life in Holland, MI. This is to remind you that the registration fee will increase tomorrow! Register today before the $10 hike! With easy to use online fundraising, it’s quick to secure ten $15 donations to meet the suggested minimum fundraising goal….the average fundraiser exceeds the goal in less than 24 hours and in the end raises $430 to support life saving research and care. Four riders walk into the finish check point to get their final stamp on their route card. It is clear by their eyes red from the wind, their faces weathered by the hours they have been in the elements and their hollow cheeks due to the fatigue, that these riders have been truly tested. As they walk, with a wobbling motion similar to someone drunk, everyone knows that they have been pedaling for so long that their muscles are struggling to cope with motions other than pedal strokes. Polite applause meets them, in respect for their achievements. They hug, new friendships formed on the road. Slowly it sinks in that they have finished the hardest Audax event, Paris-Brest-Paris. 4pm on Sunday the 21st of August. The “Gymnase des Droits de la Homme” in Saint-Quentin-en-Yvelynes, on the western suburbs of Paris, saw the 5,200 Randonners start Paris-Brest-Paris. Facing them was 1,200 kilometers (746 miles) that had to be covered within the 90-hour time limit. This eclectic mix of riders, some on normal bikes, some on recumbents, and others on specially designed bikes, have all had to qualify for the right to take the start. This qualification process involves four different “Brevets” or events (200, 300, 400 and 600 kilometers), each of which had to been ridden during the past 12 months. The air thick with the anticipation of what lies ahead; both riders and supporters have many sleepless hours ahead of them to take on this epic challenge. US 33 Blacklick Greenway bridge to be open by September 30! Sections of the Blacklick Greenway US 33 bridge that span US 33 were placed last evening. The last bridge section is to be placed this morning. There will be a day of so of adjustments being made to the bridge sections and then the remaining concrete would be formed and poured--likely pour will occur next week. Contractor hopes to be done with project slightly ahead of the Sept. 30 target date. Please do not trespass or try to get on the bridge. Later in September, one will be able to ride along trails from Cleveland & First Avenues along I-670 & Alum Creek trail to Three Creeks Park, and from there over US 33 and well beyond Pickerington Ponds - Central Ohio's longest continuous stretch of motor vehicle-free bicycle path and a welcome alternative to the over-used Olentangy Trail. Miss Ohio Children's Miracle Network Hospitals (CMNH) Bike Tour - You go girl! Welcome to the Official Miss Ohio Bike Tour Website! My name is Ellen Bryan and I am Miss Ohio 2011. I have met so many amazing children, families and volunteers through the Children's Miracle Network Hospitals (CMNH). As Miss Ohio, my goal is to raise money to bring resources and relief to the children who are part of the CMNH. From August 29 to September 24, I will be riding my bike to every CMNH in Ohio. The trip will stretch nearly 850 miles, averaging about 40 miles a day. All along the way, I will be raising money for the CMNH. 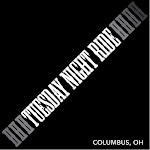 I've created this website so you can follow me as I ride around the state of Ohio! Tour Schedule - See what date I'll be riding near you! Map - Shows the route I will take on the tour. Brochure - Detailed information about the cities, sponsors and goals of the bike tour. Daily Videos - Watch videos as I ride and meet the children! Daily Photos - View daily photos of my journey around the state. In the News - Stay up to date with new clips from around the state. Blog - Read about the day to day adventures of biking around the state. Donate - Make a donation to the CMNH and add it to our total! Bikelordz is a short documentary about the self-taught, self-invented bicycle culture which young people in Accra, Ghana have created and passed on to their younger contemporaries over time. It follows crews of these young bicycle gurus as they try and use their skills to make money, gain recognition, and live on their own terms. All images in Bikelordz were shot in Ghana and all of the music is Ghanaian. It focuses on a young BMX movement which thrives amid adverse circumstances which are particularly urban Ghanaian but undeniably universal. Bike the C-Bus 2011 is Saturday, September 3rd - Here is the lowdown! Online registration @$30 is available until 5PM on Friday, September 2. Register here! Packet pickup is available at 6:30PM - 8:30PM at the Lincoln Theatre, 769 E. Long Street, Map it! ON-SITE REGISTRATION @$30 (Cash or Check) is available at 6:30PM - 8:30PM at the Lincoln Theatre, 769 E. Long Street, Map it! 1. Ride your bike and park with Pedal Instead. This is a Pedal Instead event. 2. Anywhere on Long Street east of Garfield. 3. Kings Arts Complex parking lot. 4. Parking lot on northeast corner of Garfield and Long. Enter on Talmadge St.
Packet pickup is available at 8AM - 9AM at the Lincoln Theatre, 769 E. Long Street, Map it! On-site registration (Cash or Check) is available at 8AM - 9AM at the Lincoln Theatre, 769 E. Long Street, Map it! Raffle prizes will be handed out when riders return - check at the Homeport Gallery for WINNERS! 3PM - Goose Island 312 and Matilda sponsors the after party at Hal & Al's, 1297 Parsons Ave. Map it!